When building new, an underfloor heating system is a great investment. 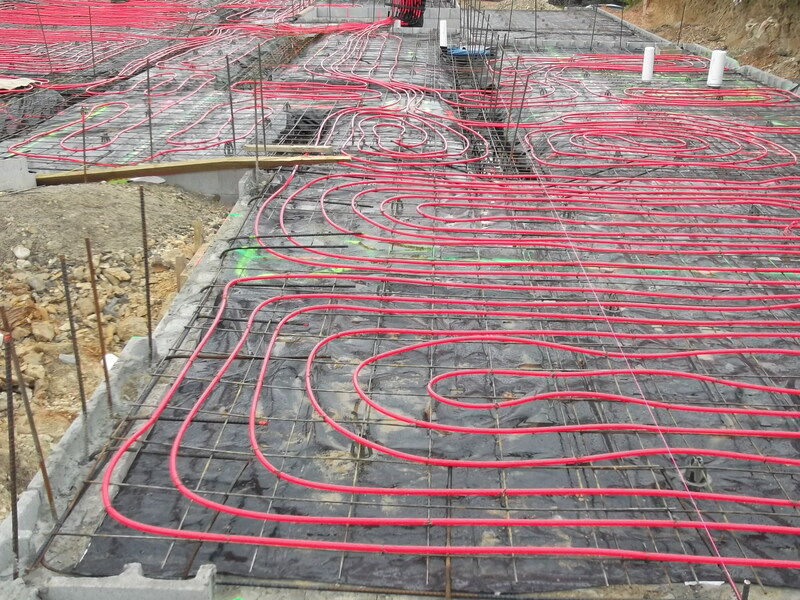 As we know – warm air rises and underfloor heating uses this fact to it’s advantage, delivering radiant heat that starts at ground level and works its way up gently warming the entire room. 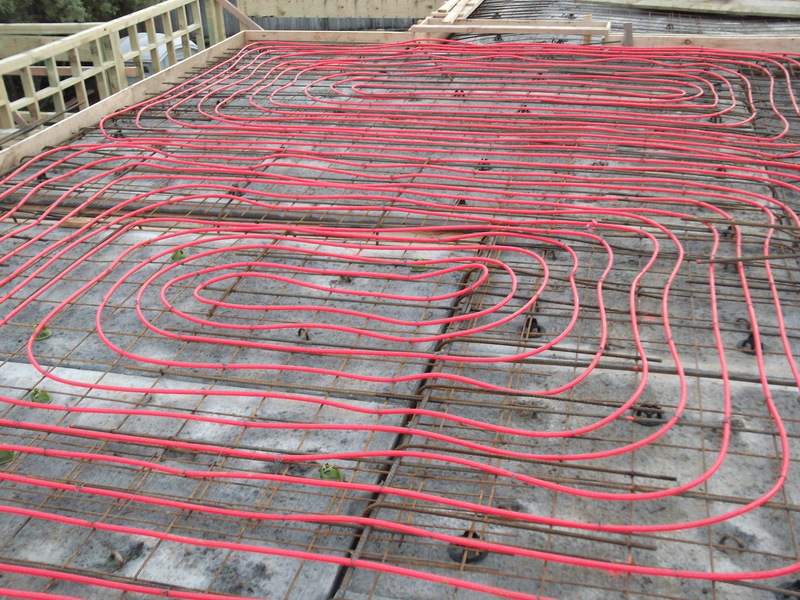 Our hot water underfloor heating systems – when hooked up with an energy efficient heating source are a great way to achieve whole-house warmth and comfort without bulky heating units detracting from your home’s decor. They can also be relatively cheap to operate. From sourcing the supplies and components, right through to the complete installation of your underfloor heating system, our team will be on hand to help and advise you throughout the entire process. During the construction phase, a system of pipes is embedded in the concrete floor. When hot water is circulated through the pipes from a central boiler or water heater, the concrete slab heats up and radiates a gentle, slowly rising heat. It’s essential to ensure the concrete slab is properly insulated to ensure you are heating your home, not the world! Hot water underfloor systems are recommended for new buildings. There is a substantial initial investment required. On a smaller home we can integrate into domestic hot water to keep cost down. A hot water underfloor heating system can be combined with radiators to provide whole-house warmth in multi-storey dwellings.